Last night, I did something I haven’t done in ages: I read a bunch of this week’s new comics. Saga: The sci-fi drama about family is also the book I’ve kept up with the best, despite the fact that I absolutely must wait until the inquisitive six-and-a-half year old is in bed before I open the book. I did fall four months behind at one point, after Isabel’s disappearance. I just couldn’t bring myself to pick it up for a while. I didn’t want to know who was next. Astro City: This one was “easy” to fall behind on because it’s isolated from other series and the stories tend to be short by modern standards. This also made it really easy to catch up on ~15 issues because I could read one or two at a time and still get a full story. The sequels to classics were fun, and I’m fascinated by what’s been revealed about the Broken Man. Flash: This book really goes by fast. Seriously, with double-shipping, I keep picking up an issue and discovering that I’m already two or three behind. Jessica Jones: I was a fan of Alias back in the day, and while this is a little more plugged into the mainstream Marvel Universe than I remember that book being, it’s still got the same snarky sensibility. Just reading her complaining to Maria Hill about LMDs was hilarious. Lady Mechanika: The first series of this steampunk adventure was delayed so long I decided to wait until it was done before reading any further. And then the gap hit. I felt so bad at last year’s Long Beach Comic Con when I talked to the writer and had to admit to her that I hadn’t read it in over a year. I finally caught up, so if I run into her or the artist this year, I can actually talk about the comic! My favorite has been “Tablet of Destinies,” both in terms of story and for the way it reframed alchemy as the misunderstood remnants of ancient nuclear physics. I’m still behind on I Hate Fairyland and Saucer State (and Shutter, but that’s finished), but I’m at the point where I’m able to re-evaluate my pull list and take another stab at paring down my collection. Which has led to some interesting decisions (but that’s for another post). This entry was posted in Comics on September 1, 2017 by Kelson. One of the weirdest things about this year’s Long Beach Comic Con is how much moving the entrance to the other side of the convention center changed the flavor of the experience. For the last seven years, they’ve used the western entrance off of Pine Ave. with a big, open, glass lobby and an outside area that stays sunny all afternoon. 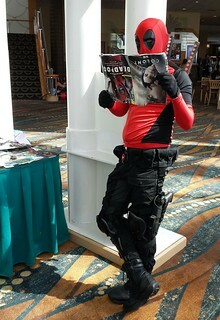 There’s always a mass of people in costume out in that lobby — I’ve called it “Lobby Con.” That didn’t happen this year. 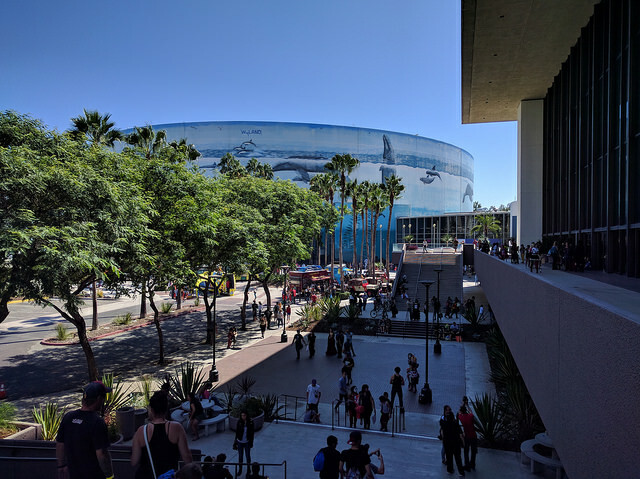 This year, they used a larger section of the convention center for the main floor, and brought everyone in on the east side between the theaters and the big circular arena with the Wyland mural. The lobby is smaller and feels more closed-in. There’s a lot more open space outside, but it’s divided by stairways and balconies. The result: No Lobby Con. There wasn’t room for people to gather inside the lobby, and outside was so fragmented that it didn’t feel like a gathering. On the plus side, the lines for the food trucks didn’t look too long either, and the varied space made for some interesting photo backdrops: the mural, palm trees, lamp posts, sunny spots, shady spots, etc. I usually do Long Beach Comic Con solo, while we make WonderCon and San Diego (when we get tickets, anyway) family trips. We planned to change that this year. 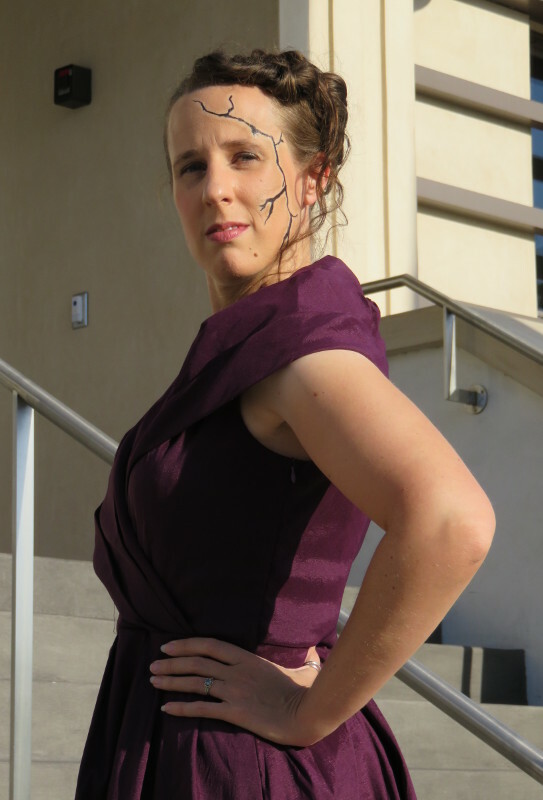 Katie has been putting together a Whitney Frost cosplay outfit (from Agent Carter). J. is in the age range for kids’ programming now. Then things fell through so that Katie couldn’t make it, and then J. got a cold, so I ended up going solo after all. We did do a full makeup/hair test and photoshoot as Whitney Frost first, though! Anyway, I arrived around lunchtime on Sunday, leaving me with just one afternoon to cram in as much Comic Con as I could. That meant I only attended one of the panels that looked interesting, picked a few artists to seek out, didn’t spend much time browsing for comics (though I did buy a few), and made several cursory circuits of the floor, pausing when someone or their art or merch caught my eye, rather than really exploring. This entry was posted in Comics, Conventions and tagged LBCC, LBCC 2016, Long Beach on September 19, 2016 by Kelson. The “big bad” of Marvel’s Agent Carter Season 2: Whitney Frost, a scientist/actress who becomes imbued with what she calls Zero Matter, a destructive energy force (just visible in the form of the jet-black scar). She’s adapted from the comic book villain Madame Masque. Like the Once Upon a Time Alice, she doesn’t seem to be a commonly cosplayed character. The plan was to debut the costume at Long Beach Comic Con this weekend, but for various reasons, Katie couldn’t make it. We did the full makeup and hair anyway, and found a suitably art deco-looking building nearby to do a quick photoshoot on the public sidewalk. With any luck, Comikaze will work out. Update: We all made it to the renamed LA Comic Con! This entry was posted in Comics, Conventions and tagged Agent Carter, cosplay, LBCC, LBCC 2016, marvel, Whitney Frost on September 17, 2016 by Kelson. Dina from this Dumbing of Age comic. 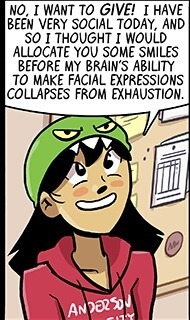 This entry was posted in Comics and tagged Dumbing of Age, Imported Post, Popular on Tumblr, psychology, See Also: Tumblr on February 2, 2016 by Kelson. I’ve liked Long Beach Comic Con since it started, but this year was something else. They doubled the amount of floor space from previous years…and filled it. I think they doubled the number of programming tracks as well. And the fans came: I’d swear the place was busier on Sunday afternoon than it was last year on Saturday, and I had trouble finding parking for the first time ever. TL;DR? Skip to the photo gallery if you must! Last year I went with very specific goals in mind, because I’d been so aimless the year before. This year I wasn’t sure until Friday whether I’d be able to make it or which day, so I held off on planning, but it worked out. 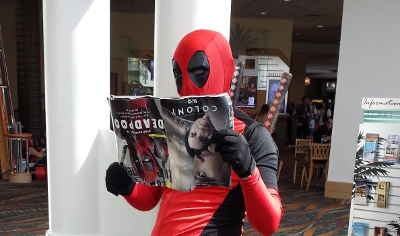 This entry was posted in Comics, Conventions and tagged Deadpool, Flash, Frozen, Jay Garrick, LBCC, LBCC 2015, Minions on September 17, 2015 by Kelson.